A fanciful German map of the north coast of South America, from 1635, based on Sir Walter Raleigh’s description of the chimerical El Dorado. 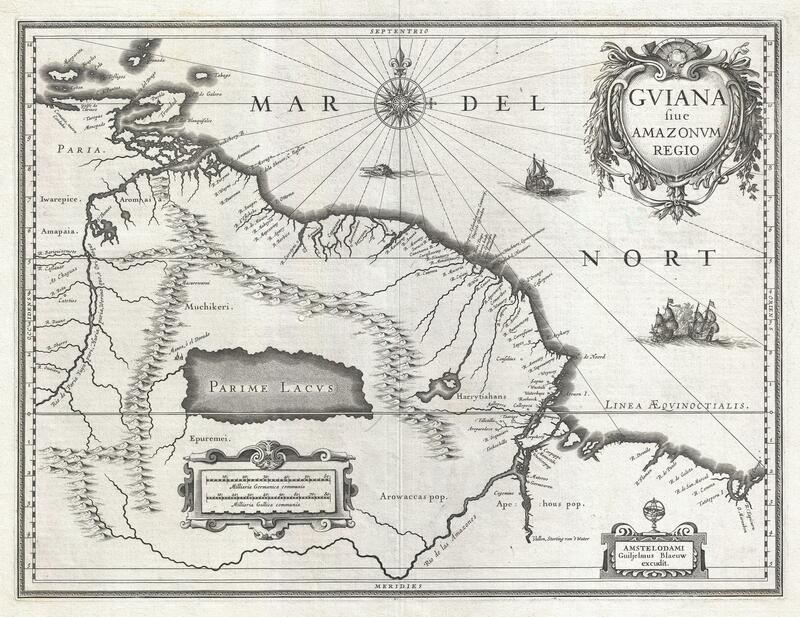 Guiana was his misnomer for the entire region, and based on his 1595 voyage and book entitled “The discovery of the large, rich, and beautiful Empire of Guiana, with a relation of the great and golden city of Manoa”. Who are the magnificent here? by the trench of blood! in the white dust and grey mud. Thus – are the mighty slain! and night is locked up the wardrobe. and one must rear, while one must suckle life. Do not stare at me from your window, lady. Stare at the wagon of prisoners! Stare at the hearse passing by your gate! 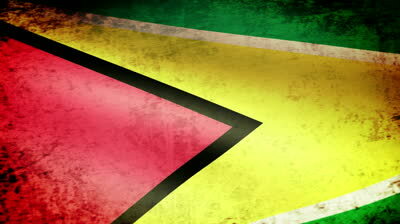 Stare at the slums in the south of the city! reminds me of tomorrow and the world. and to sing with you, my friend. – red red red the flames! like new ships on a new river sailing, sailing. awake and full of good life. burning the agony of earth’s complaint. After today, how shall I speak with you? the impartial bullock cares whose land is ploughed? dwelling in them, as in our lives they dwell. if freedom writes no happier alphabet. Old hanging ground is still green playing field. Smooth cemetery proud garden of tall flowers. and everywhere wrong deeds are being done. in every human city in this world? to build their shining governments of the damned. Sometimes I laugh, sometimes I solemnly nod. lest they should squeal and scamper far away. inside a womb or some cold bed of agony. must all be born again, and die to do so. of the sound of stars and a far bird. in that time is the discovery. or in a buried casket of drowned flowers. is the bitten tongue of memory. scraping the gunwale of a corial. of the frangipani, and pain. who wants my shirt can have it. how to die, they all perish ungracefully. Laocoön, for all the snakes, struggled well. Even that desperate gaiety is gone. empty and broken bottles gleam like ruin. mine and the world’s replacement. Nor to be silent when it all consumes! And tasted freedom underneath the moon. Do not be late, needed and wanted love. As me for breathing, living, loving you. so. And the sly drum. We would like to thank Bruce Paddington in Caribbean Beat (Issue 13, Spring 1995), and Gemma Robinson in The Guyana Chronicle (May 2nd, 2014) for introducing us to Martin Carter, a great Caribbean poet still too little known. We are grateful also to poets/editors Stewart Brown and Ian McDonald for their critical appraisal in a survey of Carter’s oeuvre from the 1950s through the 1980s: Poems by Martin Carter (Macmillan Caribbean Writers Series, 2006).